BREAKING NEWS! The most awaited event featuring top line-up KPOP group will hit Malaysian shore!! Seems like Malaysia already got the spotlight in getting hallyu attention to organize and to perform here for the Malaysia fans. This time around, k-pop groups have decided to join in the waves. The set-list are Shinee, Ukiss, Teen Top, Block B, Girls Day, Dal Shabet, NoBrain, D-Unit and The Gwangdae will be here in Malaysia for WBS Concert, KPOP Storm Live in Malaysia!! This good news of course goes to SHinee’s fans as this is the first time ever the group has a chance to visit the Shawol after numerous rumors of them coming somehow turn out to be reality soon. As for Ukiss, TeenTop, Block B, Dal Shabet, they do keep their promise to come back for more excitement and meeting their fans. With all the new comeback and albums, this is really something that will make the fans excited in seeing their idols again. For rookie groups Girls day and D-unit, performing in Malaysia will open up more chance for them in getting new fans as well as presenting to the public on what they have to offer to the crowd. No Brain may sound new to us, but this band is the best band when it comes to rock genre in Korea. They have released lots of albums and have performed to almost 3000 shows across Korea. This is something that is worth anticipating for. As for the culture exchange – the Dwangdae group will perform on the traditional instrument and dance as to uphold the Korean culture on the stage as well. From traditional to rock and pop music, this event is definitely one of the biggest event will occur in Malaysia with such varieties of performances will be prepared. 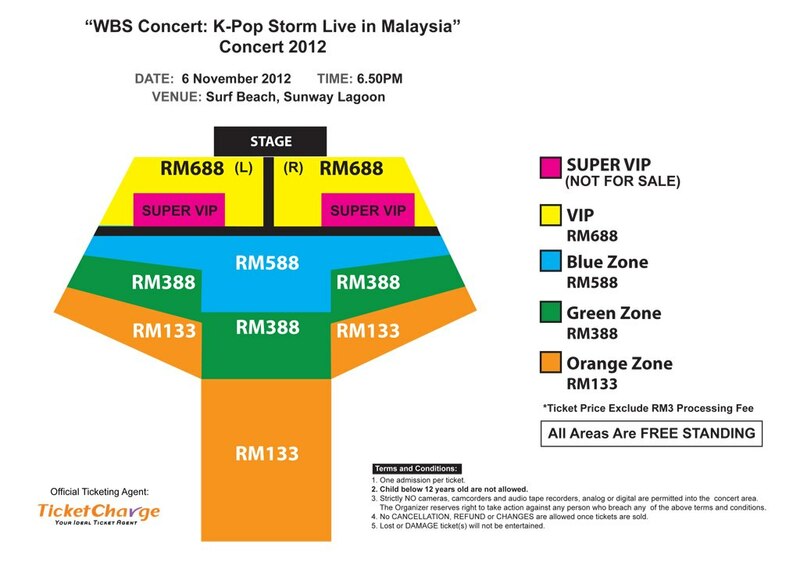 So K-POP fans, don not hesitate to be part of the entertaining show as ticket will be available starts on 10 October 2012, via Ticketcharge. Hi, would like to know if you receive any update regarding the refunds for this kpop storm that has been cancelled. If there is no news about it, would you kindly let me know the details about the organizer, as in how I could contact them. I have waited long enough for updates and since there is still no news for more than a month, I’m going to file a case and issue an attorney letter to the organizer. I would really appreciate your help.